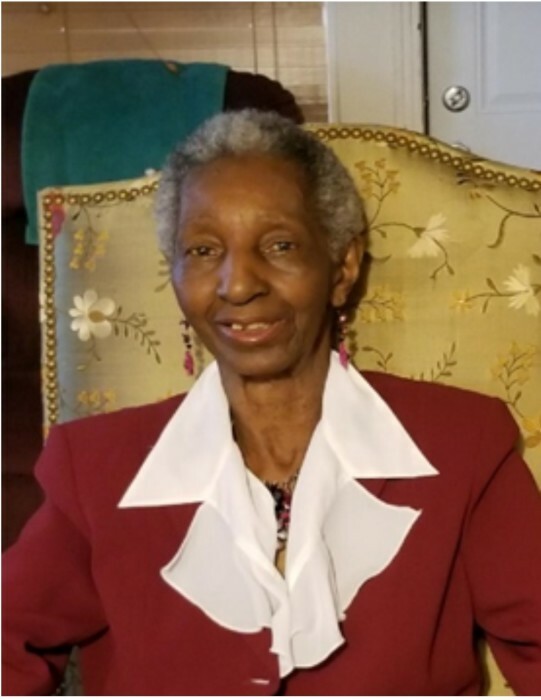 A homegoing celebration for Mrs. Rosa Lee Hendrix Jones “Auntie” of Tampa, Florida who passed away on Sunday, March 31, 2019 will be held on Saturday, April 6th, 2:00 p.m. at The Heritage Christian Community Baptist Church, 14801 N. 15th Street, Lutz, FL 33549, Rev. Dr. Delores James Cain, pastor officiating. The interment will be in Rest Haven Memorial Park Cemetery. Rosa Lee Hendrix Jones was born April 15, 1929 in Miami, Florida, the second of two daughters to the parentage of the late Mrs. Louise Walters Hendrix and the first daughter to be born to Mr. Ernest John Hendrix. Her education began at St. Peter Claver Catholic School, and continued in the Hillsborough County School System, with her graduating in the class of 1949 from George S. Middleton Senior High School. She accepted Jesus Christ as her Lord and Savior at an early age. Mother Jones, was a faithful and dedicated member of Heritage Christian Community Baptist Church. She served on the Mothers Board. Mrs. Jones was married to the late Ret. Sgt. Franklin D. Jones, Sr. She was the mother of two sons and was a retired legal secretary. She dreamed of traveling the world over as a child, and she was given that opportunity as a military wife. To most Mrs. Jones was known as “Auntie”. She was predeceased by her parents, husband, and only sibling, a sister, Georgie Mae Washington Lee-Butler. She leaves to cherish fond memories: her sons: Franklin D. Jones Jr., Merritt Island, FL. and Donald Chester Jones, Cordoba, Argentina two grandsons, Michael Xaviar Jones and Evander Dietrich Jones, Cordoba, Argentina, one loving devoted niece and caregiver, Rogena Lee-Glean; three nephews, Fred L. Lee, Jr. (Shirley), Eric L. Lee, Sr. (Gail) and Don R. Lee; grandnephews and grandnieces, Latonia McCoy(Vincent), Tanya Lee, Symone Lee, Hassan Lee, Rev. Darren M. Watson (Olwyn), Richard Scott, Jr., Eric Lee, Jr., Erica Lee, Don Green, Lamont Green, Devontae Lee, Marquis Lee, Denecia Jones, Vincent McCoy, Jr., Javan McCoy, Bernard Hart, Calenia Middleton, Dariana Watson, Darrelle Watson, Jair Darnell, Desmond Green, Leandre, Alicia, Sanjay, LaMaryia, and Ivy Green; cousins, Ralph Walters (Janet), Bettie Bell, Albert Lowe, Sammie Lowe, Sherry Taylor Scott, Fredricka Williams, Mornike Williams, Carolyn Johnson, Joe Bell (Kate), Jackie Bell Dennis, Beverly Styles (Kelly), Ronald Bell (Brenda), Kenneth Bell Sr. (Bonnie) and Charles Lang; extended family and friends, most loving caregiver, Rhonda Dupree, Marion Arnett, Richard Scott Sr. Benjamin and Brenda Walker, Tracy Lamar, Mark Davis, Yolanda Randolph, Shelia Darling Edge (Kevin), Kadijah Scott, Keheinde Scott, Mike and Joann Watkins, The Heritage Christian Community Baptist Church Family; and a host of other sorrowing relatives and friends. The visitation will be held at Aikens Funeral Home on Friday, April 5th from 5:00 to 7:00 p.m. The family and friends are asked to meet at the church on Saturday for the service.